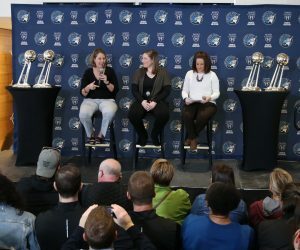 The Minnesota Lynx hit the road for the next two games of the WNBA Finals against the Los Angeles Sparks, beginning with Game 3 on Friday night at STAPLES Center in Los Angeles. The Lynx and Sparks come into the game tied 1-1 in the best-of-five series. Los Angeles won Game 1, while Minnesota took Game 2 of the series. 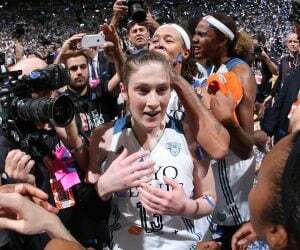 The Lynx improved to 6-0 all-time in Game 2 of the WNBA Finals. They are 3-2 all-time in Game 3 of the Finals. Since the WNBA Finals went to best-of-five format in 2005, the team who won Game 3 went on to win WNBA title nine of the 12 times. The Sparks held a record of 16-1 at home during the regular season, while the Lynx went 12-5 on the road. Minnesota bounced back to take Game 2 of the series 70-68 on Tuesday at Williams Arena. 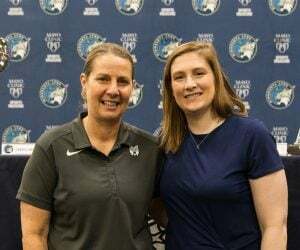 In that game, Lindsay Whalen led the way with 14 points, three rebounds and three assists for the Lynx. 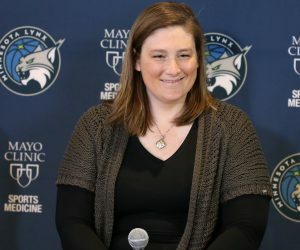 Sylvia Fowles had 13 points, 17 rebounds and two blocks, Maya Moore had 13 points and five rebounds, Rebekkah Brunson had 12 points, three rebounds, three assists and three blocks and Seimone Augustus added 11 points and two assists. Coming off the bench, Renee Montgomery added seven points and three rebounds. For the Sparks, Candace Parker finished with 17 points (all in the second half), six assists and five rebounds and Chelsea Gray had 15 points and four assists. Nneka Ogwumike had 11 points and 13 rebounds, Odyssey Sims had 10 points and five assists and Essence Carson had nine points off the bench. Mainly in Game 2, the matchup between Minnesota’s Rebekkah Brunson and Los Angeles’ Candace Parker was an entertaining one. In Game 3, it will be one to watch once again. Brunson, who finished with 12 points, three rebounds, three assists and three blocks in Game 2, did a nice job of holding Parker in check, mainly in the first half. Parker, who had a nice Game 1 for LA, was held without any points or rebounds in the first two quarters of Tuesday’s Game 2. So far this postseason, Brunson is averaging 7.8 points, five rebounds and 1.8 assists in 27.3 minutes per game. Parker is averaging 18.4 points, 8.6 rebounds, six assists, two steals and 1.6 blocks in 33.2 minutes per game. Los Angeles: No injuries to report.